The Butterfly Vivarium is specifically designed to be an ideal environment for observing the magical transformation of caterpillars into beautiful butterflies. Its spacious interior is large enough to hold a plant, providing nutrition for its inhabitants. 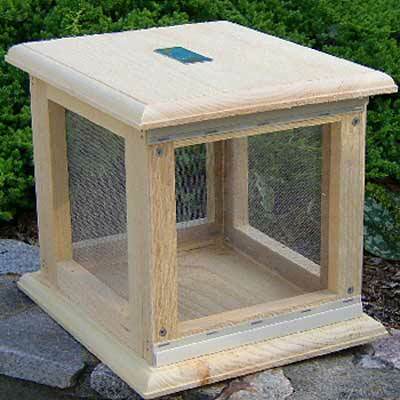 The screened windows and rough wooden interior provide ideal surfaces for clinging caterpillars while the sliding Plexiglas front provides easy access and viewing. Made from rough-cut eastern white pine, this vivarium will make an attractive, educational centerpiece. Handcrafted in the USA.